MW is human after all. Or at least she has a human side she reveals in moments of weakness. A week of puppy rearing created a weakness. It was a revelation. She could have listened to me during the many months we discussed dog acquisition. Did she? No. I’d have reminded her that raising a puppy is not like ordering a pizza. Nor does it resemble in any way shepherding a kitten to adulthood. Note: I don’t think you actually raise a cat. 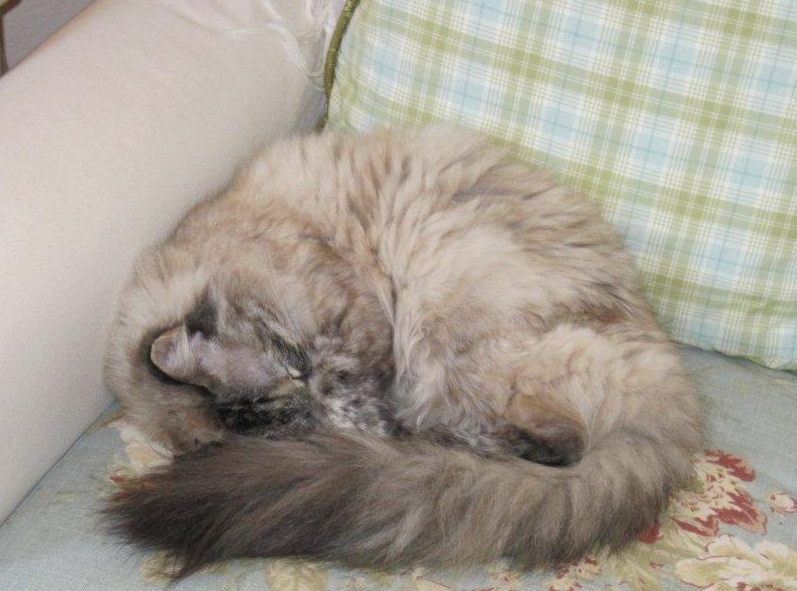 Luna shares a house with a six-year-old Siamese, also known as LC. I don’t recall spending any time with LC on behavioral issues. She’s completely independent, like a Sherpa who climbs Everest without a satellite phone or Red Bull sponsorship.